At S. Noorani International Inc. we pride ourselves in providing service of supreme caliber. We are dedicated to helping you in your journey toward financial liberty. Motiwala Capital LLC is an independent fee only Registered Investment Advisor(RIA). We manage separate investment accounts for our clients. Money Branch is open 7 days a week. Call store for hours of operation. We are located inside Magic Texaco in the Tom Thumb parking lot at the intersection of Southlake Blvd (FM 1709) and White Chapel Road. KS Mortgage is a mortgage broker based in Plano, TX. We specialize in originating and closing loans for the entire state of Texas with a wide variety of loan programs and lenders. 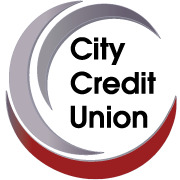 You will enjoy the low loan rates, friendly services,and higher savings rates from city Credit Union.